The US-based Insurance Institute for Highway Safety or IIHS has just initiated a tougher new crash test standard, one that makes sure carmakers are paying attention to the safety and well-being of front passengers just as well. The test was developed after IIHS noticed that some carmakers were “giving short shrift” to the right side of the vehicle when it came to the small overlap front crash protection. In order to earn a 2018 Top Safety Pick+, a car must have a “Good” or “Acceptable” score in this new test. The test mimics the small overlap front crash test done for the driver’s side. The test sends a vehicle into a barrier at 40 mph (64 km/h) with just 25 percent of the vehicle’s front-end overlapping the barrier on the passenger’s side. This simulates a collision with another vehicle or with an obstacle such as a tree or utility pole. 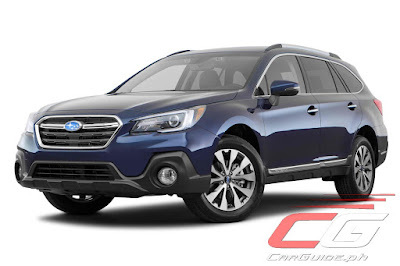 Among the first batch of cars tested for the passenger small overlap front crash protection, the Subaru Outback and Subaru Legacy were the top performers. Meanwhile, the Volkswagen Passat earned just a Marginal rating. You can check out the full results at the IIHS website.